How Can Bad Credit Scores Be Repaired? What Sets The Sader Law Firm Apart? 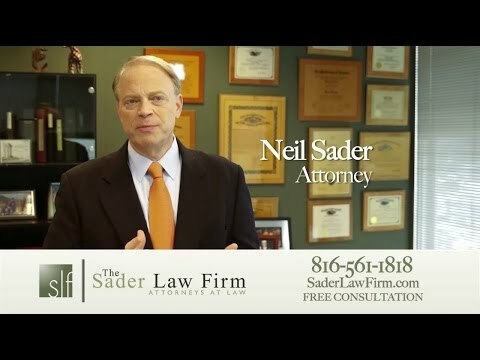 "I totally recommend (and have) your using Neil Sader as your lawyer if you are facing a bankruptcy. He has the knowledge to guide you through the process in the easiest path possible…"
"Neil Sader and his law firm handled our bankruptcy case and did a WONDERFUL job!! Neil was available to us any time we had questions, concerns or issues. Neil made a most diffcult time in our lives much easier for us…"
"Neil Sader handled my bankruptcy case and I can’t say enough nice things about his professionalism and the way he handled my case. If you are looking for a great bankruptcy attorney I would certainly recommend The Sader Law Firm…"
"Dear [Neil], thanks again for your personal touch with my chapter 7 BR. [My lawyer] did a super job in every way and now we can enjoy our retirement years. thanks ..."
Unexpected hospital bills, burdensome credit card debt and other expenses can quickly pile up and damage credit scores. Having bad credit can lead to numerous consequences, affecting the ability to find jobs, rent apartments, take out mortgages and lease cars. Bad credit can hurt your ability to find employment, as most employers do background checks that pull credit reports. For job seekers looking to get into banking or other professions that require a high degree of ethics or confidentiality, poor credit reports can be especially disastrous. Poor credit scores can make it very difficult to rent apartments, as leasing offices require thorough financial background checks before tenants can move in. Leasing offices will shy away from potential tenants with too many negative marks on credit reports, believing they may skip out on rent. Mortgages can be much more difficult to obtain with poor credit scores. Potential homeowners with poor credit scores may have to pay higher interest rates on mortgage loans, making it unaffordable. Taking out business loans can be very difficult for people with bad credit histories. For soon-to-be-entrepreneurs who do manage to secure loans, higher up-front payments and interest rates can put new businesses in bad starting positions. Can Poor Credit Scores Be Repaired? Credit scores are averaged by a person’s payment history, amount of debt owed, length of credit history, new loans, and types of debt. Improving a poor credit score involves meticulously going through everything listed on your report, looking for errors, and creating plans to make future payments on time. For people with enormous debt loads, filing for Chapter 7 or Chapter 13 bankruptcy might be a better option. ← Where Are The Best Places To Take A Date In Kansas City For Cheap? *Credit card payments will not be accepted for bankruptcy cases, unless pre-approved by The Sader Law Firm. If you have a question about a credit card payment, please call our Office Manager at 816-281-6349. Can I File for Bankruptcy If I am Behind on My Taxes? Sader Law Firm is a Debt Relief Agency. We help people file for Bankruptcy Relief under the Bankruptcy Code. The information contained on this website is not to be construed as legal advice. It is not intended to solicit or form an attorney-client relationship. We do not guarantee any result and prior results do not guarantee a similar outcome. This is an attorney advertisement and this website is for informational purposes only.